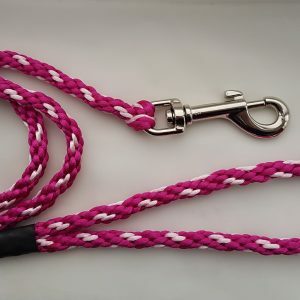 Create your very own Kumihimo braided pet lead made from satin Rattail (nylon) cord. 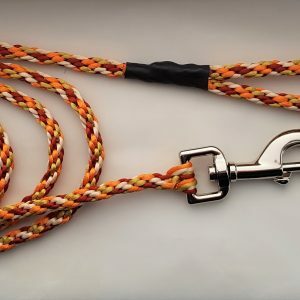 Any combination of colours can be used to create a highly colourful leash, as you’ll see there are many potential combinations, so I have tried and hopefully managed to make ordering your own favourite colours as simple as possible. 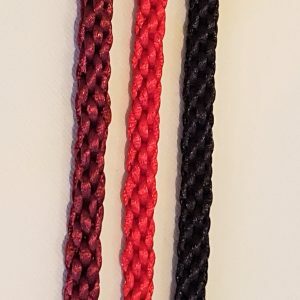 Multiple lengths of cord are braided together using the Japanese ‘Kumihimo’ technique, creating a very strong, colourful length of ‘rope’. 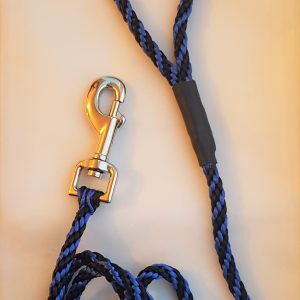 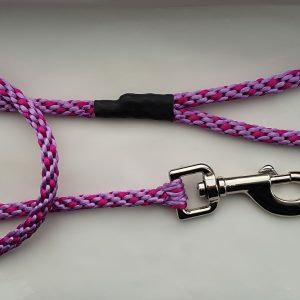 Select your colours, length of leash and size of clip to create your very own unique handmade pet leash. 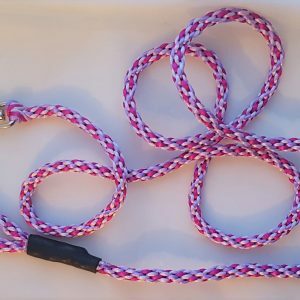 If you want your lead to be a different length than what is on offer, please email me for a quote.